Low-Cost Flights – Advantage or Disadvantage? Planning a trip abroad? Are you on a budget constraint? Well, there is one thing that can ease your issue. Choosing a low-cost flight! Everyone loves low-cost flights. Be it travelling with family for a holiday or on a solo trip, we always tend to find ways to save money. Well, in that case, low-cost flights are like a parachute! In the past few years, air travel has gained much popularity. One main reason for it can be because airlines offer flights that people can afford. Cheap travel is now a reality and many people are taking advantage of it. When opting for a low-cost flight, we do need to keep in mind that the services provided will not be as great as the one offered on premium flights. However, consider a situation where you haven’t had the time to make your air travel booking on time. Choosing a regular airline will cost you a fortune even though the destination chosen is short. This is where cheap flights come into play. This is one of the most important benefits of low-cost airlines/flights. Even though some might see this as an advantage, others regard low-cost flights or airlines as a disadvantage as the amenities offered by them are not up to the mark. One of the primary benefits of a low-cost flight is the amount of money saved. Opting for low airline fares can help you save up to a good percent of cash. Hence, you can use the money saved to enjoy a much better stay at the vacation spot of your choice. Sometimes, travellers choose to travel one way. Thus, you don’t have to spend extra money for a return flight. Low-cost airlines do not charge the additional sum of money. We often find airlines giving out low-cost flights during off-peak seasons. So, if you have a definite plan for your trip, you can book flight well in advance and enjoy a hassle-free vacation. Low flight tickets mean you will not get the same service and treatment one receives on a regular flight. Be it receiving magazines or newspapers or just free peanuts, the service offered is not that great. Another disadvantage of choosing a low-cost flight is the type of the aircraft infrastructure. No proper leg space or comfortable seats. You might have to adjust and accommodate yourself throughout the travel. Many low-cost flights will limit your flight options to non-peak hours or days. Airlines usually offer cheap tickets for very early morning or midnight flights. Thus, for some, it might be an inconvenience. Also, the flight status might be delayed as well. Generally, when we book the flight that are cheaper, one is not allowed any refund. If you choose to ask for a refund, you might just have to reschedule your flight, which in turn might lead to big costs that equal regular tickets. Many passengers who choose to fly with low-cost flights are also restricted to carrying luggage. The amount of baggage weight offered to such customers might be way less than the one offered to customers flying regular flights. If you have extra baggage, you will have to pay huge fees for excess baggage. Furthermore, everyone might have to make a decision between choosing between a low-cost flight or a regular one. In order to receive something good, you might have to sacrifice something as well. But between all of this, you get to do one thing you like or prefer, and that is travel! 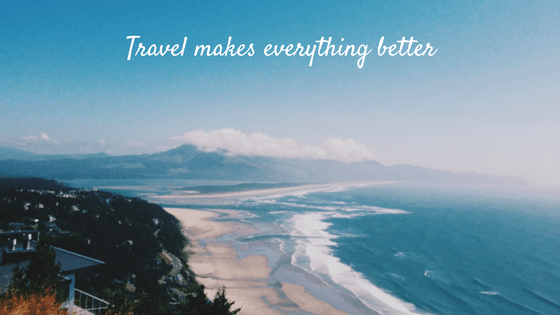 Well, as they say, travel makes everything better. So why not give it a try.